If you spend too much time thinking about it, you'll never get it done. There are loads of scholarship programs out there, so it's always good to try your hand at a few that may be a good fit. After all, there's nothing to lose, especially if you already applied or you got in early. College Essay Organizer includes hundreds of scholarship questions in its database, and we rounded up a few of the most popular ones that students are applying to along with some of their thought-provoking essay questions. A) "The future belongs to the discontented." Robert W. Woodruff -- Just thirty-three years old when he took command of The Coca-Cola Company in 1923, Emory alumnus, Robert W. Woodruff shaped the fledgling soft drink enterprise and its bottler franchise system into a corporate giant with the world's most widely known trademark. During the next six decades, Mr. Woodruff established a remarkable record as a global leader and philanthropist. Describe how this quote resonates with you. B) “The cynics will tell you that the good you do today will be forgotten tomorrow. Just do it anyway.” Roberto C. Goizueta -- The Goizueta Business School is honored to take its name from Roberto C. Goizueta, who demonstrated a level of personal and professional courage throughout his lifetime that has ensured his legacy as one of the most respected business leaders of the 20th century. As a future business leader, what is the good you would like to contribute in the world, and why? What is the world’s most pressing problem and how should business contribute to the solution? A primary objective of the Lillis Scholarship is to encourage intellectual independence. To illustrate your own intellectual independence and ability to integrate it into your life, please provide the selection committee with an original essay in which you respond to the following prompt: Describe an intellectual idea that has transformed your thinking. A) Recent disclosures have revealed that the US government maintains a database that logs all American telephone calls and actively collects the contents of large numbers of domestic and foreign emails. National security officials have testified that these once-secret programs have disrupted more than 50 “potential terrorist events.” The American Civil Liberties Union (ACLU) has filed a suit against the Obama administration demanding an end to this surveillance, contending that it “gives the government a comprehensive record of our associations and public movements, revealing a wealth of detail about our familial, political, professional, religious, and intimate associations.” In your opinion, what are the considerations in determining how much domestic surveillance is warranted to prevent possible terrorist attacks? Do you agree with the ACLU’s position or that of the government? Where do you draw the line regarding data collection and when this should be prohibited? B) According to Dr. Francis Collins, head of the Human Genome Project, scientists will soon be able to perform genetic testing to determine an individual’s likelihood of developing 25 major diseases such as cancer, arterial sclerosis, and diabetes. Similar in-vitro testing will be available as well, permitting parents to know the probability of debilitating—as well as “undesirable”—traits in fertilized eggs before they are implanted in the womb. What are the arguments against making such information widely available? Do you agree or disagree with these arguments? C) Responding to the overwhelming amount of facts, information, and opinions that come to us though our electronic devices, the author Pico Iyer has written: “The only way to do justice to our onscreen lives is by summoning exactly the emotional and moral clarity that can’t be found on any screen.” Do you agree with this statement? Why? We're deep into reading the thousands of admission applications that arrived before the regular decision deadline yesterday. But we've noticed that there is one application missing: yours. Just in case you forgot to press the "submit" button, we're happy to announce that you've got until January 31 to send us your Wheaton application. We've had enough experience to know that in the crush of things to do as a college applicant, time and technology (this year) can get the best of you. Simply return to commonapp.org, ignore the published application deadline, finish filling out the forms you started for Wheaton, and hit "submit"! It's that easy. 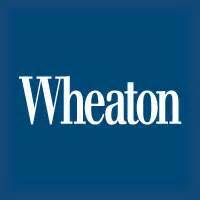 One important reminder: Don't forget to tell your counselor and teachers that you are applying to Wheaton so they can submit your transcript and recommendations to complete your file. Good luck! We look forward to receiving your application very soon! Greetings from GW! We have been made aware that some students are experiencing difficulties submitting the Common Application. We want to reassure you that we will continue to accept applications if you are unable to submit it today. Please contact our office if you have any questions. We look forward to learning more about you in your application. Scholarship Time: Don't Miss This Contest! It ain't about the money, money, money...or is it? Now that even the extended regular deadlines are about to pass, the temptation (we know it's strong) is to sit back and do nothing. Don't get us wrong: you deserve a break. But you could be missing some big opportunities. 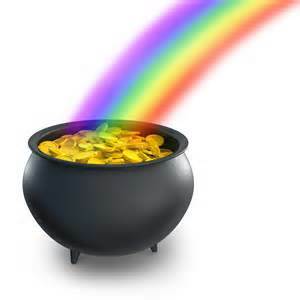 In fact, you might even be overlooking that pot of gold sitting at the end of the rainbow. You're really close. You can almost reach out and touch it. Or at least you can log into College Essay Organizer and check the list of colleges you applied to to see which scholarships you are eligible for. When you've already written dozens of essays, what's a few more, and the payoff can be great! And the process can actually be fun--there are creative questions out there that could potentially bring new meaning to your life. 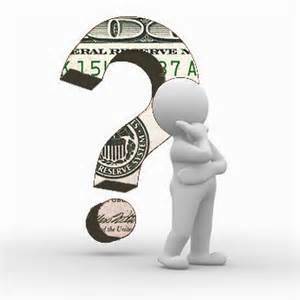 You could gain insights that you never thought possible. Well, maybe that's a bit over the top, and we have to admit there are hundreds of pretty cut and dry questions, but the juicy ones exist too, and your challenge is to send us the most shockingly fun and original scholarship questions you can find by January 21. Email us at [email protected], and we'll post the top ones to our blog. Let's see what you've got! Posted in News | Comments Off on Scholarship Time: Don't Miss This Contest!